When it comes to planning your wedding, finding the perfect wedding dress is naturally one of your most important tasks. Even so, choosing Atlanta bridesmaids dresses ranks up there as something important that you should do as early in the planning process as possible. This gives you time to think of different color schemes and designs you would like as well as receive input from your bridesmaids. The following vendors of the Georgia Bridal Show, your one-stop shop for all things related to wedding planing, list bridesmaid dresses as one of their specialties. Forget about Atlanta bridesmaids dresses that your wedding party and guests will laugh at years from now. Anya Bridal Warehouse offers classic and timeless styles that any bridesmaid would be honored to wear. They also offer 15 percent off your first order and free shipping on bridesmaid dresses if you choose to place your order online. Anya’s makes it easy to do by displaying a color chart and the variety of fabrics and swatches available under the Bridesmaid Dresses tab on the company’s website. You can also visit their physical location at 1500 Southland Circle, Suite F.
You and your wedding party will enjoy shopping from some of the top names in the bridal industry at Bella Bridesmaids. Some of these include Adrianna Papell, Bill Levkoff, Bari Jay, and Rosebud Fashions for the flower girls. If you decide to shop for Atlanta bridesmaid dresses online, you will have a full 19 pages of options to consider. Bella Bridesmaids makes it easy to shop online by allowing you to search by designer, color, bestsellers, or Bella exclusive bridesmaid dresses. 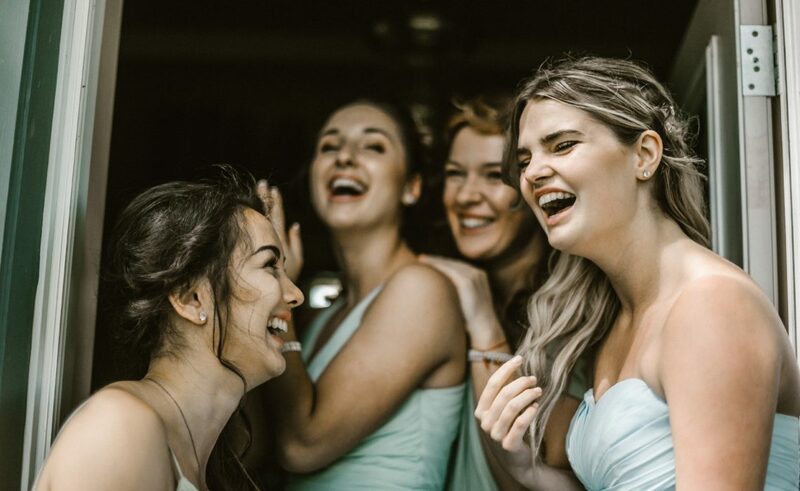 With multiple locations around the country, you’re sure to find just what you need for the women and girls in your wedding party. You can find the Atlanta location of Bella Bridesmaids at 691 14th St NW, Unit 122. Brides have trusted Dillard’s with their wedding planning needs for decades. With such a large inventory of Atlanta bridesmaids dresses available, you should have no problem locating the perfect set of matching dresses for your bridesmaids to wear on the big day. When shopping online for bridesmaid dresses from Dillard’s, you can look by price, newest styles, highest ratings, and whether the bridesmaid dress is currently on sale. If you can’t make it to the Atlanta locations at 4500 Ashford Dunwoody Road (Perimeter Mall) for an in-store pickup, Dillard’s offers free shipping on orders over $50. The Georgia Bridal Show will host two shows in Atlanta for the remainder of 2019. These include Cobb Galleria Centre on August 4 and the Georgia International Convention Center on August 25. You can also attend an event in nearby communities. Just click here to choose your date, location, and order your advanced tickets. We are also accepting applications for new vendors as well as vendors who wish to be featured on our website. Whether you’re a vendor or a bride-to-be, we can’t wait to work with you!